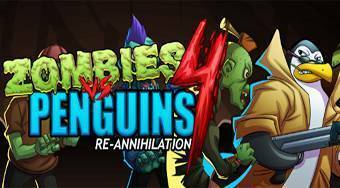 Do you like Zombies vs Penguins 4? Share it with your friends. Zombies vs Penguins 4 - playing a role of the penguin shoot various projectiles onto the playing field, so you killed all the zombies.